The answer depends to many factors that makes hiring and working with an attorney even more overwhelming. The legal cost is an important consideration, but that always must be weighed against the cost of not hiring legal counsel. When it comes to employment law, a good attorney can help protect your rights whether you are an employee or a business owner who has been sued by a former employee. The claims in the employment law matters come in a variety of forms requiring different strategies before any outcome could be obtained. The conclusion of employment matters could be achieved at different stage depending on the strength or weaknesses of the claims, or defenses, parties’ financial commitments, and their subjective (read emotional) positions. At Mostafavi Law Group, APC, we represent business owners or employers who are being sued by their current or former employees, and the employees who have claims against their current or former employer based on a wide variety of California substantive laws. Do you need to hire an employment attorney? You do not need to retain an attorney for every legal matter you face at work, such as accepting a job offer or asking for a raise, but certain disputes and procedures are much more successful with the help of an attorney. An example that frequently lead to hiring an attorney is when your employer is about to fire you and give you a severance payment. In exchange for accepting the payment, you are asked to sign a waiver and release of all your claims – regardless of type, form, label, known or unknown covering your employment period up to the date of signing. Other example is when you are faced with intolerable hostile environment at work, and you do not whether you should just quit, or stay and suffer more. In other situations, you either know, or have reasonable belief that you are not getting all wages you are owed, or being treated equally and similarly in compare with other employees. Also, you probably need an attorney if you’re trying to recover lost wages or job security, have a dispute over family and medical leave, or have a discrimination claim. The most important thing to remember is that employers usually almost always have legal representation in one form or another, whether through in-house counsel, or retaining outside counsel to represent them in particular lawsuits they are faced. At Mostafavi Law Group, APC, we understand employment law intricacies that involves a relatively wide array of issues that involve the legal relationship between employer and employee. These involve wage and hour law, discrimination and harassment, family and medical leave, and employee benefits. Since employment laws tend to change frequently, often through the courts, you want an attorney who is current with the law. We are here to help. Why Business Owners and Employers Should Retain Mostafavi Law Group For Their Employment Law Solutions? We will The core of our representation is based on building trust for long-term relationships with our clients. We use our experience in litigating employment cases on behalf of employees to increase the efficiency of advising and defending employers. The employment law is a core practice area of focus in our practice. We are privileged for having the opportunity to represent a diverse variety of business owners from different industries. The vigorous defense of your company against frivolous litigation is a cornerstone of our defense strategy. We are cognizant to the dynamics of having or not having the EPLI coverage and its effects to set the defense strategy. 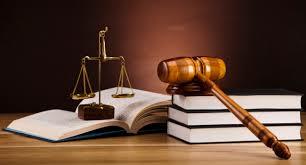 We will help you with the defense of wage and hour cases, especially complex class actions and PAGA actions. We will always aggressively litigate cases to protect our client’s best interests. Our ultimate objective is to provide you with a solutions-based and cost-effective representation that is tailored to your specific financial conditions to maximizing your interests. We will represent you before the California Labor Comissioner against Wage & Hour claims brought under the Labor Code and Wage Orders.